"In 1920, George Halas was a former football man, seemingly done with the sport. He had played in college and in the military during the Great War, but there was no major profes­sional league to advance to; once you graduated from college, your only option was semiprofessional ball, a sandlot game. Halas had tried it, suiting up on a half-dozen Sundays for a team near his Chicago home. After his experience with that ragtag group, he had decided to give up all sports, get a job, and get on with his life. He was twenty-five. "Putting to use the engineering degree he had earned from the University of Illinois, Halas now drew a salary of fifty-five dollars a week as a safety expert for the Chicago, Burlington and Quincy Rail­road, testing bridges for 'stresses and strains' to ensure they would not collapse. In his spare time, he courted his future wife, Wilhelmina 'Min' Bushing, a pretty brunette from Pilsen, the Chicago neighbor­hood where he had grown up. Halas could see the outline of a con­tented, white-collar life coming into view. His mother was delighted that he had given up football, the roughest of the sports he enjoyed playing. "Then one morning in March 1920 he received a phone call in the bridge design department at the railroad office in downtown Chicago. A man named George Chamberlain was on the other end. The gen­eral manager of the A. E. Staley Manufacturing Company, a starch­maker in Decatur, Illinois, Chamberlain had a job in mind for Halas and was in Chicago hoping to discuss it with him in person. Could they meet that evening at the Sherman Hotel? "Hours later, Halas entered the hotel lobby and strode across the carpet with a natural athlete's loose-limbed, rolling gait. Broad through the chest and just under six feet tall, he sported tousled, dark bangs that fell at an angle across his pale forehead. He shook hands with Chamberlain, who was bald and had a Teddy Roosevelt mous­tache and round, steel-rimmed spectacles. 'I found Mr. Chamberlain to be a very determined man, about fifty, well-muscled; he had played football and baseball in his younger days,' Halas wrote. Both men were engineers. They hit it off. "Chamberlain got down to business. His boss, Eugene Staley, believed sports could boost employee morale and help sell Staley products. Three years earlier, Staley had started a company base­ball team coached by a former major league pitcher, Joe 'Ironman' McGinnity. It competed in an industrial league against other major company teams through the Midwest, including the Samson Tractors of Janesville, Wisconsin; the Indian Refining Company Havolines of Lawrenceville, Illinois; and the Republic Trucks of Alma, Michigan. The Staley team drew crowds and newspaper coverage, and now Sta­ley wanted to start a football team. "Chamberlain asked whether Halas was interested in coaching the football team, as well as playing for it. Halas quickly said yes. Although he was challenged by his railroad job, he remained an ath­lete at heart. He had played football, baseball, and basketball in both high school and college, showing enough potential on the diamond to briefly make the majors as an outfielder for the Yankees. For as long as he could recall, he had always had a new season to prepare for, more games to anticipate. But the Yankees had found a better right fielder, someone named Babe Ruth, and Halas had reached a dead end in football. He missed having games to look forward to, Staley's offer could provide a new outlet for his competitive energies. "There was no doubt Halas was qualified to coach a team. He had been mentored by two of the greats during his career. At Illinois, he played football for one of the sport's shrewdest coaches, Robert Zup­pke. While with the Yankees, he played for thoughtful, pipe-smoking Miller Huggins, destined to manage the team to three World Series wins. 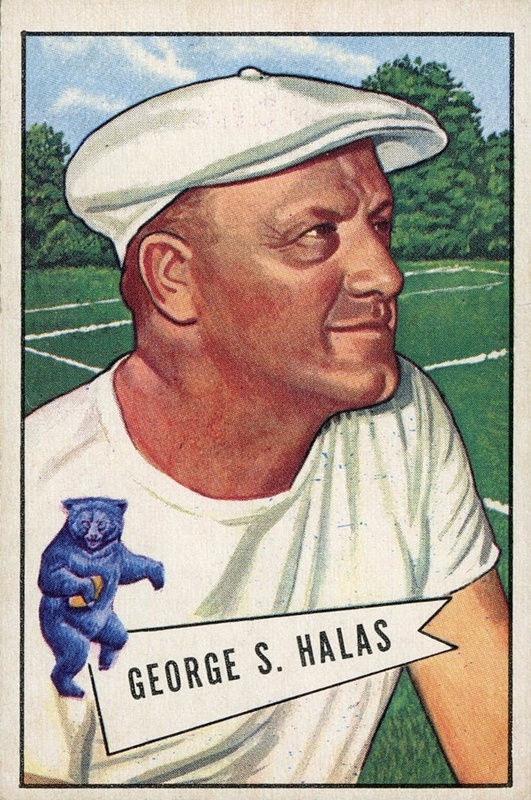 Halas already had begun transitioning into coaching, having helped run a team of former college stars at the Great Lakes Naval Training Base, near Chicago, during the Great War. "Halas asked Chamberlain several questions. Could he recruit players? Yes, Chamberlain said, he could offer prospects full-time work at Staley as well as the chance to play football. The response excited Halas. Several of his Great Lakes teammates had been All­Americans; he could field a powerful team. His next question: Could the team practice two hours a day? It sounded like more than any team needed, but Chamberlain assented, telling Halas, 'You're the expert.' Finally, Halas asked whether those long practices could occur on company time. Sure, Chamberlain said. "The salary offer was modest, around what the railroad paid him, but it was not about money for Halas. He would get to coach and play for the company football team, play on the baseball team, and maybe start a basketball team. His calendar would positively overflow with sports and games. Meanwhile, he would learn to make starch, con­tinuing to put his engineering and chemical training to use. Within a week, he quit the railroad, took the job with Staley, and moved 170 miles to Decatur, no longer a former football man. His mother was disappointed. Halas was thrilled."